UFC 84 offers some really good betting opportunities, with one of the best bets I have seen this year. Here’s my thoughts on a few UFC 84 parlay bets. 5dimes and BetUs both take MMA parlays, but they are the only ones right now. I will start off with the best betting opportunity I have seen in the UFC this year. 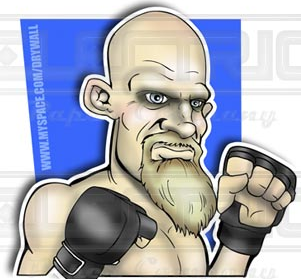 Keith Jardine +155. Wandy nuthuggers must be blind. Jardine demolished Chuck, no contest. Wandy is a plodder like Chuck, but he’s not as dangerous as a counterpuncher nor does he have Chuck’s power and precision. Wandy’s only hope is to cast a spell on Jardine and entice him into his clinch. Ain’t gonna happen. This is an easy fight for Jardine. Im going to use him as a key in several parlays. Clementi is different fighter now than 18 months ago, he’s put it all together and he’ll dominate Etim. I’m going to sprinkle Sherk in on a couple too. 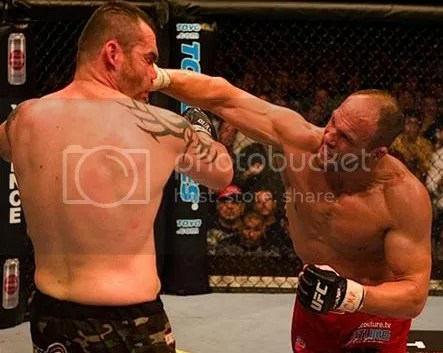 I think Sherk and BJ are close to even and a year ago Sherk would have been a favorite in this fight. Penn’s win over Stevenson was a little lucky cause he caught a careless Stevenson early, yet still struggled to put him away. UFN 11 is a great betting card in my opinion. We’ve got a couple polarizing fighters with Chris Leben and Kenny Florian, a talented fighter coming back after a 2 year layoff, and a bunch of TUF alumni displaying their progress. Check out the MMA SuperPage for complete UFN Odds. 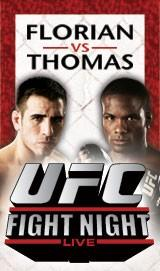 The main event features Kenny Florian vs Din Thomas. Florian has retooled his body and game since losing to Sherk and looks to get back into the title chase with a win over Din. The spotlight has not been focused on KenFlo, but he’s fought impressively in 2007. Din Thomas has been successful, as well, this year. His win over Clay Guida is particularly nice, now that Guida has shown the world that he’s for real. MMA betting is not about what you have done, it’s about what you are going to do. Both these guys look like they are ready for a top effort Wednesday night. You can argue styles and skill sets all you want, this fight will be decide by a small margin and who is able to take advantage of any opportunity. KenFlo probably has an edge in scramblability and Din an edge is striking and physical strength. I am impressed the manner in which Florian prepares, he’s a serious pro all the way and that’s why he will win this one. Pete Sell’s fight against Nate Quarry should draw a lot of bettor’s attention. 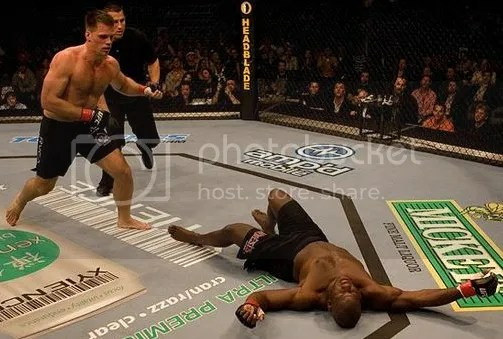 Quarry is a very talented fighter who has not fought for almost two years after losing to Rich Franklin. These two have fought before, Quarry earned his title shot against Franklin with a first round KO of Sell. Pete Sell’s recent record is nothing great, but he has been fighting good opponents and competing well. At first glance Quarry seems like a likely winner, “but not so fast, my friend.” In the two years Quarry has been absent, Sell has been getting training, fighting, and improving under the eye of Serra. Sell is in good form and should be able to control the early action as Quarry tries to adjust to his pace. Quarry’s got too many questions to answer and Sell been thinking about that first round KO for two years. Revenge is sweet, especially at +200. Oh yeah, the thrill of betting on fights. What’s more exciting than watching an MMA battle with money riding on the outcome? Every punch, kick and submission attempt could pocket you some extra cheddar. Today more people are making a bet on UFC fights than ever before. I think there would be huge explosion in UFC betting if more people understood the basics of fight betting, so this is the first in a mini-series of how to make profitable wagers on MMA action. Use this information to enjoy UFC, Pride or any MMA event and possibly make some extra money too. The negative number is always the favorite. Sylvia is -270 which means you must risk $270 in order to win $100. The positive number is always the underdog. Couture is +210 which means you must risk $100 in order to win $210. A much easier method is to use the Money Line Calculator on Zewkey’s MMA Betting Super Page and just plug in the numbers to see what you can win. You can base your bets on any amount. 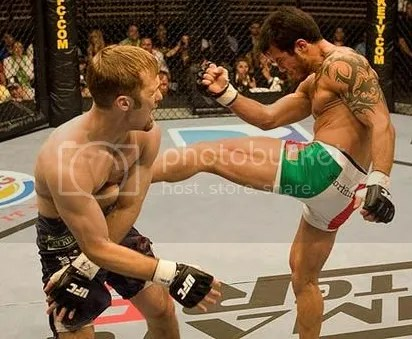 Mixed martial arts is a difficult sport to consistently pick a winner. This is because of the various styles of fighters and the relative lack of knowledge surrounding the sport. With more than 10 years of UFC and other MMA fighting evolving in the US it has become obvious that a fighter’s success in mixed martial arts is based on several key components. By analyzing a fighter’s strength in these components and comparing his opponent strengths, it is becoming easier to determine a winner. 3 Dimensional Fighting: A fighter needs to have a three dimensional approach to fighting. They need to stand up and strike effectively to inflict damage while defending against takedowns. They must control or escape their opponents while clinching and inflict damage while in close quarters. They must defend or defeat an opponent on the ground by submission or ground and pound. Well Prepared Professional Athlete: Steady, consistent training and fighting regularly are positive signs of a focused, motivated and fit athlete. The fighter’s fitness level obviously needs to be high, but this is an aspect that needs to be watched closely in MMA fighters. There is a persistent belief that heavier is better and the fighters very often cut large amounts of weight prior to weigh-in, which leaves them physically and mentally tapped when they should be at their peak. It also shows a lack of preparation, both short and long term. Streaks: Winning and losing streaks are very important factors in a fighter’s confidence and if they are improving or possibly declining. These athletes go thru a lot so look for signs that point to rapid decline or a possible breakthrough performance. Training Environment: Who is the athlete training with? Success breads success in MMA. Top level experienced fighters and trainers can mentor and place young athletes into successful situations. Good competition within camps develops top fighters. Watch out for fighters that take bouts on short notice hailing from Miletich or American Top Team. I think UFC 74 is a very good card to take a shot at a few parlays this weekend. Parlays are combination bets where it’s all or nothing., what I mean is that you must pick all the fights in your parlay correctly or you lose it. The more fights you have in your parlay, the higher the payoff. Parlays can be great when you win, because you make small bets to win big money. Who doesn’t like that? Currently two sites take MMA Parlays BetUs and 5Dimes. I like to identify a fighter, or two, that I think is a very likely winner. Remember, no big favorites, so Huerta is out. Once I have my “key” fighter(s), I try to build a few combinations. I think Kendall Grove (-240) is a sure winner and I’m making him my KEY. I also think that Joe Stevenson(-280) is a sure winner, but I like Kendall a little more. Ok, so I need Grove and Stevenson to come thru for me. 92% of UFC favorites of +200 or more win so I look good there. I’m counting on Gonzaga to be my money maker, I clean up if he can beat the “old man.” I think Heath has a shot at Babalu, so I put him in to leverage a few of these babees. Good luck. It’s been a deal years in the making, but finally, one of mixed martial arts’ unquestioned greats – former PRIDE Champion Wanderlei Silva – will be returning to the Ultimate Fighting Championship’s Octagon this December for the first time in over seven years to take on the best 205-pound fighters in the world. The signing of Silva, which took place in the Zuffa offices in Las Vegas Friday afternoon, is the culmination of years of pursuit and hard work by White, who weathered a series of ups and downs to get the Brazilian bomber in the UFC, where potential matchups with the likes of former UFC Light Heavyweight Champion Chuck Liddell await. 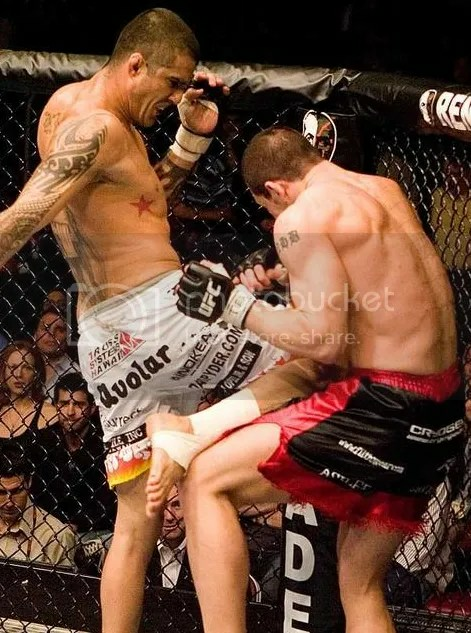 The 31-year old Silva, known by fight fans as “The Axe Murderer” for his ultra-aggressive style and finishing ability, began his career almost 11 years ago in his native Brazil, fighting in Vale Tudo bouts that pushed him to the imit as he honed the skills that would soon make him one of the most feared fighters on the planet. 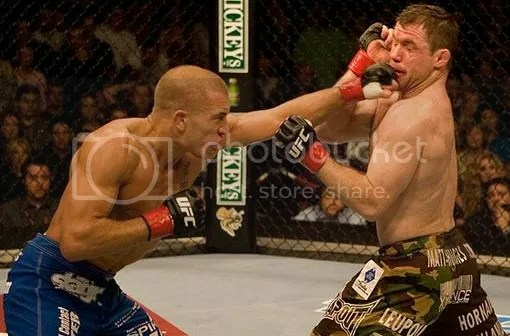 In 1998, Silva would make his UFC debut against Vitor Belfort, and he would fight two more times in the Octagon (including a 2000 bout against Tito Ortiz). 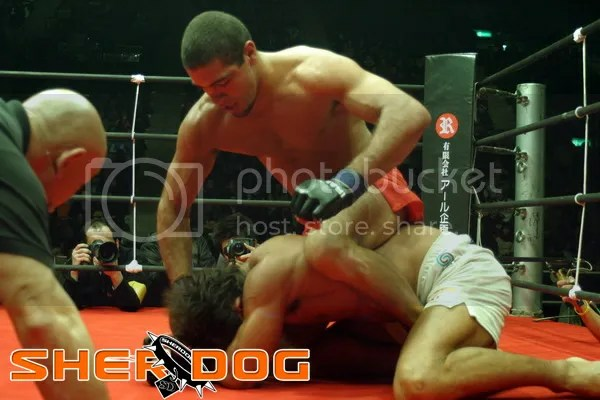 But it was in the PRIDE organization that the legend of Silva was truly born, and after his debut in 1999, he met great success by winning the organization’s middleweight championship and defeating the likes of current UFC Light Heavyweight Champion Quinton Jackson (twice), Dan Henderson, Kazushi Sakuraba (three times), Ricardo Arona, Hidehiko Yoshida, and Kazuyuki Fujita, while engaging in some of the most memorable fights in MMA history. Well-rested after his February PRIDE fight against Dan Henderson, Silva (31-7-1) now looks forward to the next chapter in his career in the UFC. “I’m gonna work hard to give a great show for the fans and I want to thank God for this opportunity,” said Silva, who counts the key elements of his style as raw aggression, emotion, and intensity. He also wants to send a message to prospective foes. A date and opponent for Silva’s return will be announced at a later date.